Terrorist attacks are a topic that has been a major concern for individuals and businesses alike for many years. Learning how to prepare for and respond to terrorist attacks is crucial for everyone, especially with the increased amount of attacks occurring around the world today. 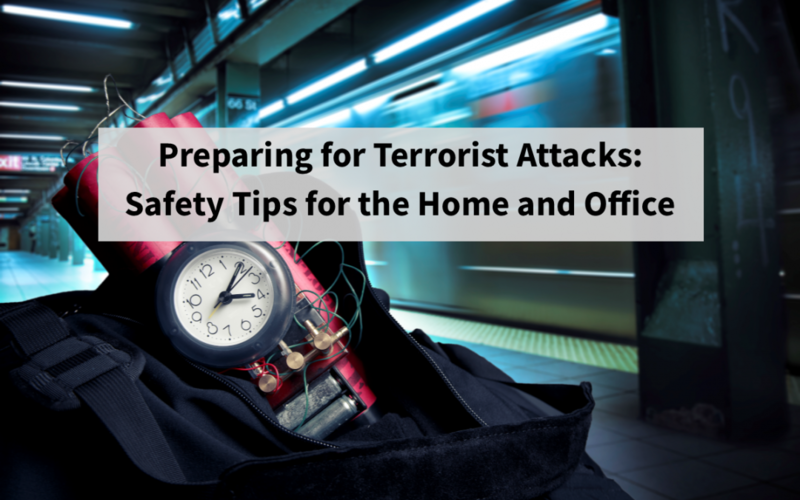 Whether you are traveling, commuting home from work or making a pot of coffee at the office, everyone is susceptible to a terrorist attack, and while it might seem dramatic to think about what you would do during an attack – you can never be too prepared. Not even two months ago, a man affiliated with ISIS killed 9 people after plowing them down with a truck on a New York City street. This week, a man attempted to detonate a pipe bomb strapped to his body in a busy subway corridor near Times Square. Thankfully, the suspect was the only one seriously injured, as the bomb failed to fully detonate. Being proactive and preparing for a terrorist attack doesn’t mean you are paranoid, it means you are taking steps to ensure the safety of yourself and those around you. For businesses, create an Emergency Action Plan (EAP) – An EAP is a crucial component when trying to ensure the safety of employees, visitors and the business. Click here to read more on what you should include in your businesses’ EAP. 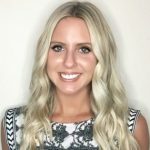 Establish a meeting place – For both individuals and businesses, establish a meeting place where you can meet family and/or co-workers during a terror attack. The meeting place should be somewhere that is safe from what is going on in or near your home or business. Training – Make sure that you, your family and/or employees know how to respond to crisis situations, such as a terrorist attack. The more familiar you are with this type of situation and what to do, the more at ease you will be when trying to navigate a real-life terrorist attack. This training also includes First Aid and CPR certifications. During an attack, it might be difficult for all injured to be seen by a medical professional. The more people who know how to respond to injuries during an attack, the better. Have an emergency supply kit – Keep an emergency supply kit at your office, home and in your car. Your emergency supply kit should include first aid supplies, batteries, a flash light, battery powered radio, fully charged cell phone and charger, food, bottled water, cash and for individuals, copies of important documents (licenses, birth certificates, and passports). Be familiar with your surroundings – Make sure that no matter where you are, you are always familiar with your location. As soon as you enter a building, make sure you are aware of the closest exits and what your exit strategy would be in the event of an emergency. Have an evacuation plan – For businesses and individuals alike, know what your plan will be if you have to evacuate due to damage. For employers, have a plan in place as to how you are going to keep business operations running and for individuals, know where you would go if you have to evacuate your home and have a plan in place for pets as well, as they often are not allowed at shelters. In addition, performing drills on how to evacuate during a terrorist attack, your staff will be familiar with how to handle an attack whether they are at work or at the grocery store. To learn more about active attackers, watch Preparis’ ”The Truth About Active Attackers” webinar.